Taylor Door Co. is your experienced and reputable place for entry and storm doors in Southgate, Michigan. Our seasoned professionals have been servicing Southgate and Metro Detroit for more than 30 years. We offer everything you need in entry and storm doors including same-day installations! Taylor Door Co. delivers exceptional custom designed door glass, designs and friendly customer service. Browse our entry and storm door collection today! We provide the best entry doors for your Southgate home. We allow for you to showcase your own style with custom door designs and glass insert options. Taylor Door Co. is home to your favorite, most trusted entry door brands. Shop for your favorites including Therma-Tru, Taylor Door, and Masonite. Each of our brands provided allows you to choose custom glass and designs. Browse through the highest quality doors, from mahogany and oak wood to fiberglass. Discover the best in entry doors in Southgate today! 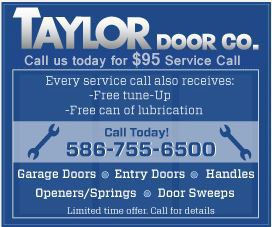 Taylor Door Co. makes it easy to find residential storm doors in Southgate. We offer a variety of storm doors including Trapp storm doors, wooden storm doors, sliding screen doors and steel security doors. Taylor Door Co. delivers the best in-class materials, custom glass and designs; we also offer same day installation when you call before 11 a.m. Browse our entire collection of residential storm doors today! 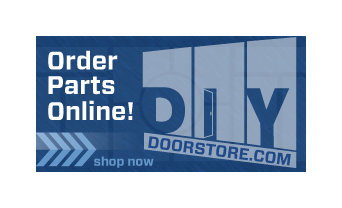 Order Your Entry and Storm Doors in Southgate Today! Once you have selected your choice for an entry or storm door, we can come out and install it for you! If you’re having trouble finding the door for you, our experienced staff will help guide you. Our professional door installation staff is friendly and we’re members of the International Door Association. You will not find any surprise charges or unexpected costs when you hire Taylor Door Co. Our services rate is always $85 per hour. Feel free to shop in our local showroom or you can browse online for your entry and storm doors in Southgate. Call today for more information at 800-NEW-DOOR.